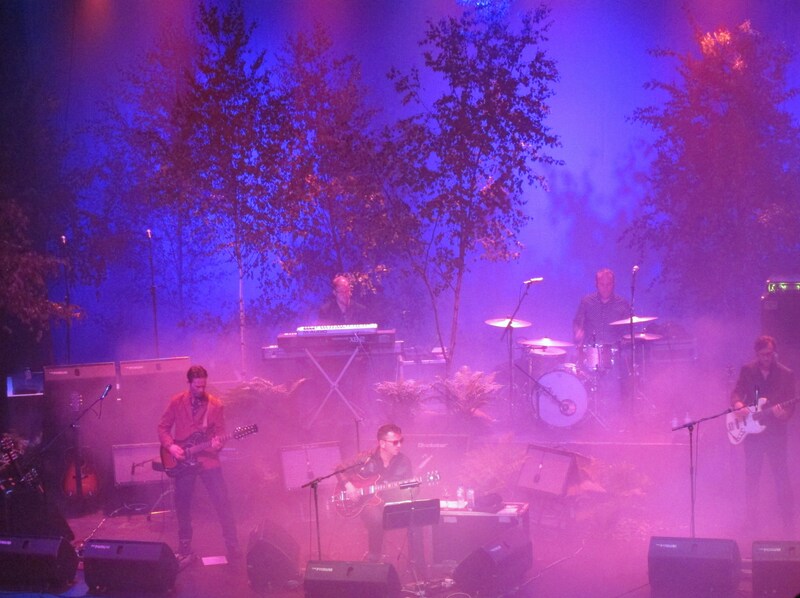 “Well – as you can see we’ll be Sitting At The Sky’s Edge tonight” quips Richard Hawley, who is brought onstage in a wheelchair to the considerable surprise of the sold out crowd for this live show to support his Standing At The Sky’s Edge album. Richard Hawley is the latest person to embrace his inner hippy with it having been the best year for psychedelia since Syd Barrett quit Pink Floyd after playing one too many gigs with Mandrax crushed into his Brylcreem to allow the stage lights to allow it to melt down his face. Allegedly. First Paul Weller dabbled on latest album Sonik Kicks, then Noel Gallagher released a track in conjunction with Amorphous Androgynous. Now it’s Hawley’s turn – and his is the best of the lot. Whilst What Did You Expect From The Arctic Monkeys… was a more than worthy winner, there was an element of truth in Mr Turner’s words. Until that night, only the hippest hipsters of Hipsterville had heard of Hawley. It turned out, in fact, that he had previously played with The Longpigs and for a time with Pulp. Now, it is a genuine surprise if Coles Corner is not played at a dinner party anywhere in the UK. Which brings us nicely to Hawley’s latest record, the rather marvellous Standing At The Sky’s Edge. A step forward from the last couple of records, Standing… takes Hawley into previously uncharted territory (for him at least) whereby he has finally turned his amp up. The record is all the better for it, and is an early contender to take the prize that Cole’s Corner had stolen from it. Hawley will be hoping The Arctic Monkeys don’t have a new album out anytime soon. Live, Hawley is witty and charming, even whilst immobile and on painkillers, (though to be fair, very few of those drugs were crushed into his Brylcreem) “I feel like Davros from Doctor Who. 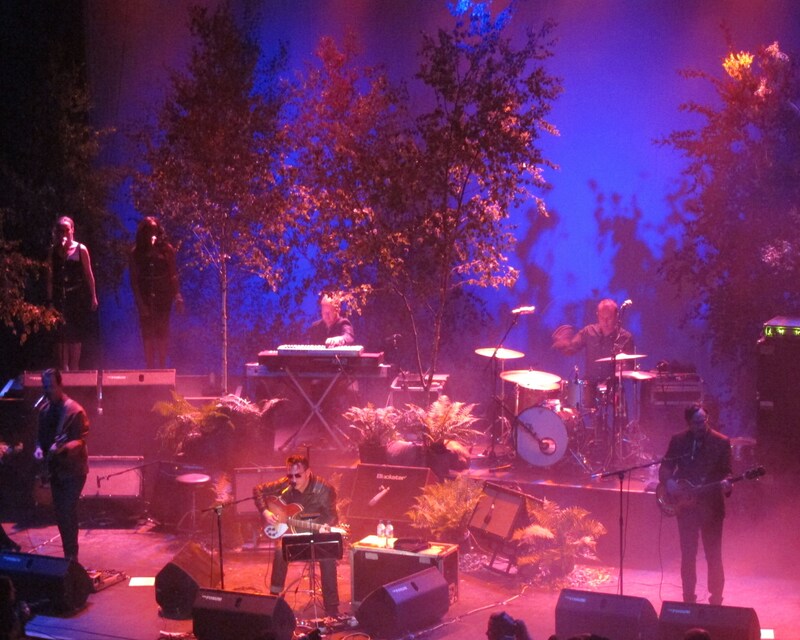 I’m sorry I’m not talking more, but I’m on some serious drugs…” He plays a good amount of the new album, interspersed with older favourites The Ocean, Tonight The Streets Are Ours and Open Up Your Door. Even with the newer, more psychedelic tunes, it’s a mellow kind of night. In a really good way. 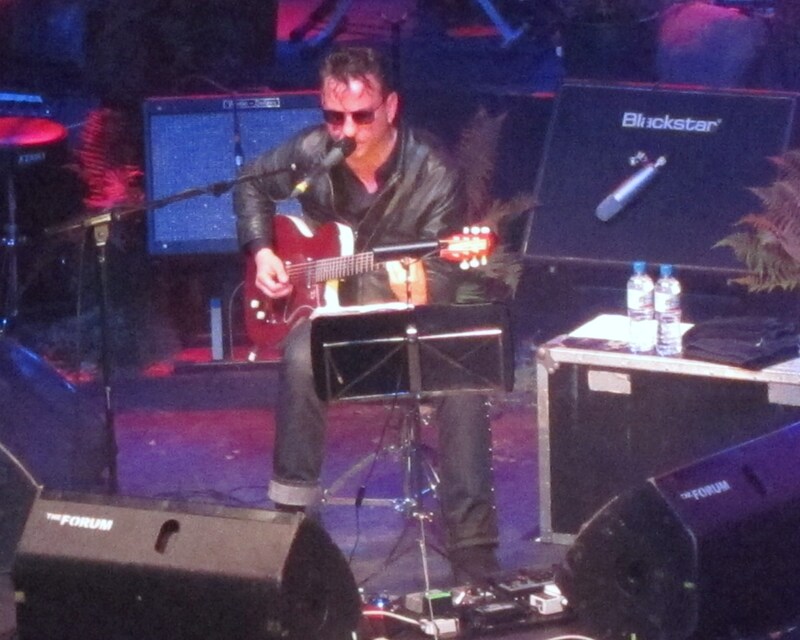 Richard Hawley will be touring the UK and playing a number of Festivals over the summer. Standing At The Sky’s Edge is out now. Great post. I’ll have to keep my eye out for some Hawley. The broken leg part reminds me of when I saw Weezer in 1995 in Cleveland. It was the ‘Blue’ album tour. Rivers came out on stage on crutches. He had those metal halos around his leg with metal pins going through his leg. I think it’s to fuse the bone back together and keep it in place. It actually looked pretty gross. He looked pale and was probably all doped up too. I saw them on TV (telly) later and he had the halo covered with baggy pants (trousers), but you can still see the outline of it. Notice he doesn’t move around at all.